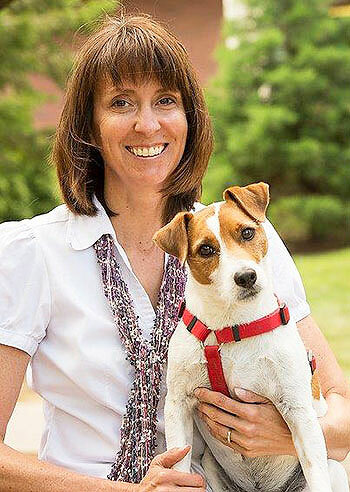 She discovered a potentially fatal gene mutation in dogs, developed a test for it and has established a unique program at WSU of individualized medical treatment for pets. Her nine national and international patents, licensed on four continents by eight different companies, have generated more than $1 million in royalties and licensing fees for WSU. “While I am honored to be a fellow in the National Academy of Inventors, it is equally rewarding because this validates the impact of pharmacogenetics and precision medicine in the veterinary profession,” said Mealey. She discovered the MDR1 gene mutation and is the inventor of a subsequent genetic test for the mutation. Knowing a pet dog has the mutation prevents it from suffering from a profound and potentially fatal toxicity to certain medications a veterinarian might normally administer. She launched the world’s first coordinated research effort in individualized veterinary medicine. The program in individualized medicine (PrIMe) has established WSU as the preeminent institution in veterinary pharmacogenetics. PrIMe employs a dedicated core faculty, technical staff and collaborators in the WSU College of Veterinary Medicine that optimizes drug therapy for individual patients. PrIMe faculty share their expertise via education and outreach activities for veterinarians, breeders and the pet-owning public worldwide. PrIMe is focusing on animals sensitive to known anesthetic agents and searching for gene mutations that, like the MDR1, can be used to predict and prevent serious adverse drug reactions. Also under study, and of perhaps greater concern, is the class of drugs known as non-steroidal anti-inflammatories or NSAIDs. The NAI is a nonprofit member organization comprising U.S. and international universities and governmental and nonprofit research institutes. It has over 3,000 inventor members and 757 fellows from 229 institutions. The induction ceremony for the new class of NAI fellows is scheduled for April 5-7 in Boston.